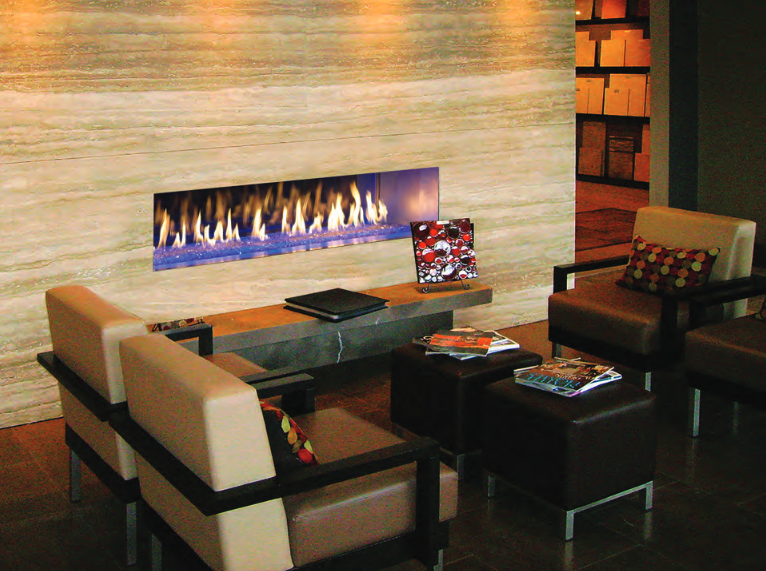 For new construction DaVinci Custom Fireplaces by Travis Industries are a unique and elegant choice. They are available in 3, 4 and 5 foot units in length, while glass height may be either 12 or 20 inches high. Seven design variations are available according to where you want your glass window. The window can be one, two, three or even four sided.